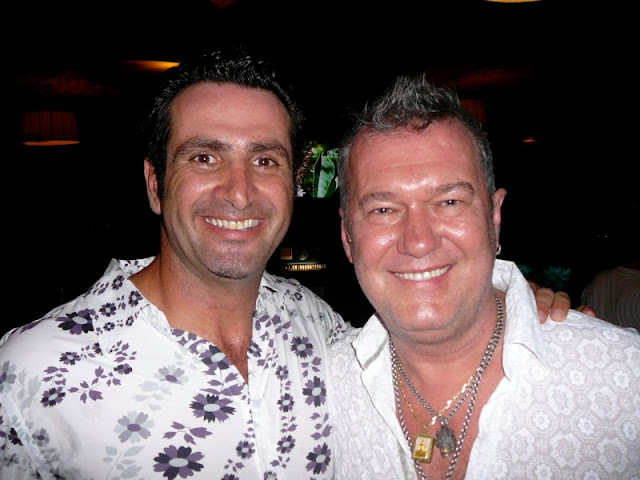 James Dixon Swan (born 28 April 1956), better known as Jimmy Barnes, is an Australian rock singer-songwriter of Scottish background. His father Jim Swan was a prizefighter and his older brother John Swan is also a rock singer. His career as both a solo performer and as the lead vocalist with the rock band Cold Chisel has made him one of the most popular and best-selling Australian music artists of all time. The combination of 14 Australian Top 40 albums for Cold Chisel and 13 charting solo albums, including nine No. 1s, gives Barnes the highest number of hit albums of any Australian artist. Martha Rose Reeves (born July 18, 1941 in Eufaula, Alabama) is an American R&B and soul singer and former politician, and was the lead singer of the Motown girl group Martha and the Vandellas. 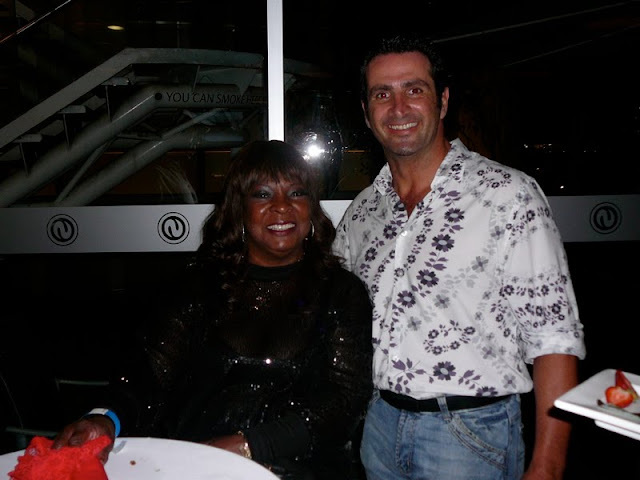 During her tenure with The Vandellas, they scored over a dozen hit singles, including "Jimmy Mack", "Dancing in the Street" and "Nowhere to Run". From 2005 until 2009, Reeves served as an elected councilwoman for the city of Detroit, Michigan. With her brassy and gospel-reared alto vocals, Martha Reeves helped Martha and the Vandellas ascend from background singers with early songs such as "Come and Get These Memories" and "(Love Is Like a) Heat Wave" distinguishing the group from contemporaries and label mates The Marvelettes and The Supremes, who were more influenced by doo-wop. Though the group's early recordings under their different monikers were doo-wop oriented, the majority of songs released under the Vandellas' name produced a rougher, soulful sound with frenetic musical backing from The Funk Brothers. Martha's alto, Rosalind Ashford's soprano and Annette Beard's contralto vocals gave their harmonies dimension and made their recordings unique. After "Heat Wave" became the group's first million-seller, the Vandellas quickly rose to become the label's top draw both as recording stars and as a successful live act. Martha was the one consistent member of the group staying throughout all the group's incarnations and lineups. After the exits of original members Annette Beard and Rosalind Ashford, members replacing them included Betty Kelly, Sandra Tilley and Martha's youngest sister Lois Reeves. Among the singles released that became signature hits for the group included "Quicksand", "In My Lonely Room", "Live Wire", "Nowhere to Run", "A Love Like Yours (Don't Come Knocking Everyday)", "I'm Ready for Love", "Jimmy Mack", "Honey Chile" and the group's most popular single, "Dancing in the Street". Martha often cites her performance highlights as one being a performance with Vandellas worshiper, Brit soul singer Dusty Springfield, on the UK show, Ready, Steady, Go! and performing on the Ed Sullivan Show. Despite the success of the Vandellas, Martha was dismayed by Berry Gordy's decision to promote The Supremes and the group's lead singer Diana Ross in particular more so than the Vandellas. Other issues -- including group infighting (Martha often tangled with Betty Kelly), a stringent recording and touring schedule and other matters led to Reeves abusing prescription drugs and alcohol. Near the end of the decade, Reeves suffered a nervous breakdown from an acid trip and had to be institutionalized in 1969. The breakdown led to a brief disbanding of the Vandellas in which Ashford left for good. When Reeves was well enough to return, she recruited Sandra Tilley and the lineup of Martha and Lois Reeves and Tilley continued until 1972 when the group disbanded shortly after issuing the Black Magic album. In 1973, Martha planned to continue releasing solo work with Motown, but when the label moved from Detroit to Los Angeles, an angry Reeves negotiated out of her contract with Motown, ending her 12-year association with the label. Joan Elizabeth Osborne (born July 8, 1962) is an American singer-songwriter. She is best known for her song "One of Us", and for her work with members of The Grateful Dead. Originally from the Louisville, Kentucky suburb of Anchorage, Osborne moved to New York City in the late 1980s, where she formed her own record label, Womanly Hips, to release a few independent recordings before signing to Mercury Records; Soul Show: Live at Delta 88 (1991) was her first album. Her second (and first major label) album was Relish (1995), which became a hit on the strength of the single "One of Us". The song was much more pop-oriented than the rest of the album, which was steeped in country, blues and folk music. "Right Hand Man" and "St. Teresa" were minor hits following the success of "One of Us". She was featured in the 2002 documentary film, Standing in the Shadows of Motown, and toured with Motown sidemen the Funk Brothers. She and her band accompanied the Dixie Chicks for a national tour in the summer of 2003, during which time she also joined veteran San Francisco jam-rockers The Dead as a vocalist, and released her fourth album, titled How Sweet It Is, a collection of classic rock and soul covers. ……….. what else are we missing? Washington, DC Metro Station on a cold January morning. A man with a violin plays six Bach pieces for about 45 minutes. During that time approx. 2 thousand people passed through the station, most of them on their way to work. After 3 minutes a middle-aged man noticed there was a musician playing. He slowed his pace and stopped for a few seconds and then hurried to meet his schedule. No one knew this, but the violinist was Joshua Bell, one of the greatest musicians in the world. He played one of the most intricate pieces ever written, with a violin valued at $3.5 million dollars. Two days before, Joshua Bell sold out a theater in Boston where the price of seats averaged $100. This is a true story. 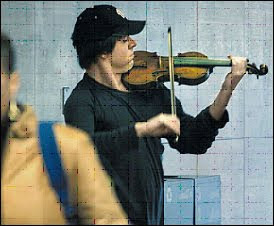 Joshua Bell playing incognito in the metro station was organized by the Washington Post as part of a social experiment about perception, taste and people's priorities. The questions raised: in a commonplace environment at an inappropriate hour, do we perceive beauty? Do we stop to appreciate it? Do we recognize talent in an unexpected context? Ian Moss is an Australian rock musician, best known as the guitarist and occasional singer with Cold Chisel. In that group's initial ten year career, Moss recorded eight albums, three of which were #1 national hits. His solo career began with a #1 album and single and five ARIA Awards. Since then his career has been more low-key, interspersed with periodic tours and albums with a reformed Cold Chisel. Recently I had the opportunity to film 2 great Australian icons performing in Brisbane at Miss Dee's. Jon English and Peter Cupples performed to an enthusiastic audience a collection of their classic hits. Jonathon James English (born 26 March 1949 in Hampstead, London, England) is an Australian rock singer, musician, actor and writer. Jon English emigrated to Australia with his parents in 1961. He was an early vocalist and rhythm guitarist for Sebastian Hardie but left to take on the role of Judas Iscariot in the Australian version of the stage musical Jesus Christ Superstar from May 1972, which was broadcast on television. English is also a noted solo singer, his Australian top twenty hit singles include "Turn the Page", "Hollywood Seven", "Words are Not Enough", "Six Ribbons" and "Hot Town". Peter Cupples led the band Stylus, one of Australia's best-known acts, in the 1970s when pop/rock groups Sherbert, ACDC and Cold Chisel dominated. Stylus combined a soul and funk sound with rich harmonies. Eventually the group signed for American giant Tamla Motown, the first white group to sign for the label. Hits included "Summer Breeze" and "World Of Make Believe". During the 80s, Peter led The Peter Cupples Band which made two albums and has since maintained a significant presence in the industry.